I hope you are well and have had a lovely weekend. This is a lovely scheduled post today as I am current in London with Becca on our weekend of fun! Last night we were at the Michael Buble concert at the O2 (praying that he sings just one Christmas song!!) and tonight we are off to see Top Hat on the Strand. Its been so busy at work over the last couple of months and we've both been really looking forward to this weekend. I've gone with a zingy orange and green colour combo (although I'm not sure what I did with the colours in this photo!!) as I thought this would go with the fab Pollycraft image. I've coloured the image with my Promarkers, added a little bit of sparkle to the butterflies with my Stickles and finally added some faux stitches in pencil. I have tied a bow in some gingham ribbon before attaching that to the card too. Pop by the Sweet Stampin challenge blog to see how the rest of Team Abi used butterflies and bows on their cards! While you're there you can also check out our fab sponsors this challenge and the prizes on offer! 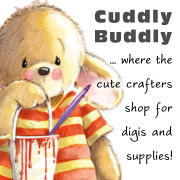 Pop by these fab blogs if you have the chance to see the gorgeous DT cards that have been created. If you get the chance you could also pop by my new blog that I have started with my sister Lorna - over there we will be sharing our afternoon tea experiences....we promise lots of photos of yummy cakes!! Gorgeous card Wedgie, I like the sweet image and the ribbon. 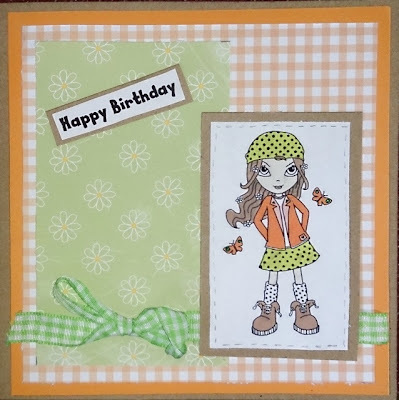 Great card with those soft, summery colours! Cute image and I like those dotted socks! A gorgeous card Wedgie. The image and design looks fab. 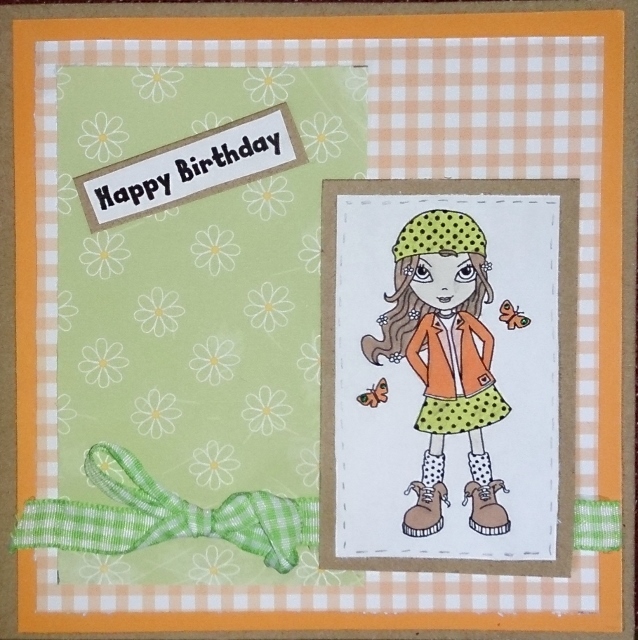 Lovely card, I like the fresh looking gingham ribbon and prints.